World of Dance auditions continue tonight, Tuesday, June 6, 2017 on NBC! 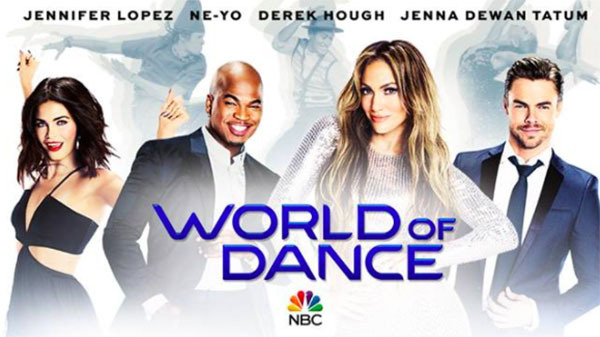 NBC’s brand new television dance reality competition World of Dance returns tonight. Last week, five performers made it to the qualifier rounds. Diana Pombo; Keone and Mari; Kinjaz; Les Twins and D’Angelo and Amanda have made it o the next rounds. Keep locked on this page, World of Dance June 6 episode recap and performance videos will be posted below once uploaded online. World of Dance features dance performers, including solo acts and larger groups, representing any style of dance, competing for a grand prize of $1 million. Jennifer Lopez, Ne-Yo and Derek Hough serves as judges while Jenna Dewan Tatum as host.